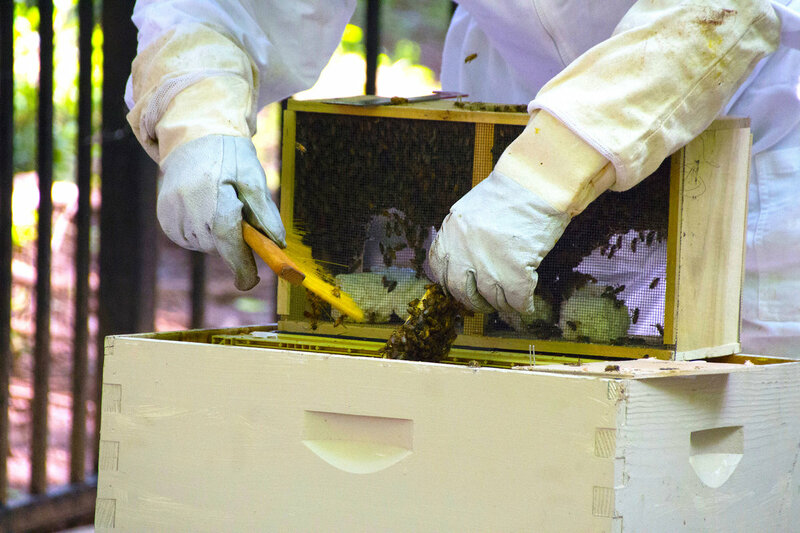 If you want to do more than just planting bee-friendly flowers, consider donning the white veil and gloves and becoming a beekeeper. 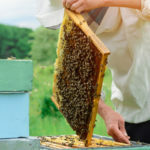 A small investment of your time and money can yield a greater connection with nature as well as some honey. But you are going to need some help. In spring of 2015, Paul, a longtime beekeeper on his family farm in North Alabama, installed about 25,000 bees at Lost Corner Preserve, a local city park that was once a working farm, as part of an urban beekeeping initiative. He personally tends to the bees and enjoys educating the public about honeybees. 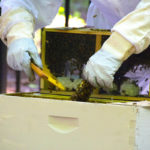 “I started beekeeping when I was about 15 when my dad bought five hives from a man who was retiring from the bee business, and I was hooked,” he says. “Bees are fascinating animals. They are amazing workers—they visit about a million flowers to make a pound of honey. Their social structure is not unique in the insect world, but it is uncommon. The hierarchial nature of the colony—from queen to worker to drone—is a great management study. 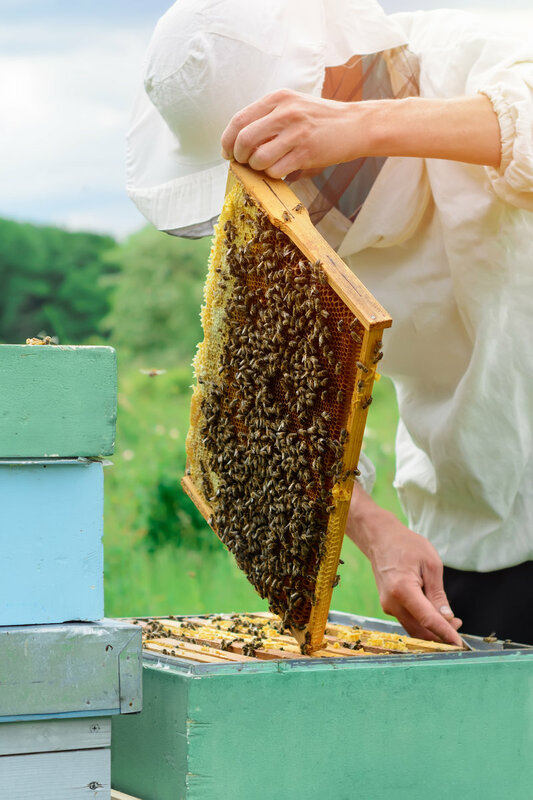 The migration of duties among workers over their fairly short lives—from nurses to emerging bees, to soldiers protecting the colony, to foragers—over a matter of days shows their flexibility and adaptability. Every time I open a colony, I learn something new,” Paul explains. Paul says that he’s had heavy losses among his colonies, including the loss of his best producer from the previous year. 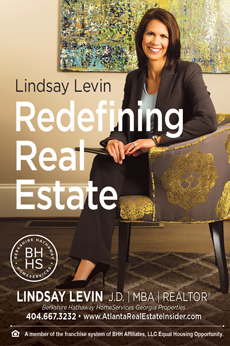 The complex disorder usually results in the death of all the bees in a hive. “I had two colonies at Lost Corners and six on my family farm, but today I am down to one. I was hit very hard by Colony Collapse Disorder last year, but I’ve ordered my replacements, which start arriving soon,” says Paul. 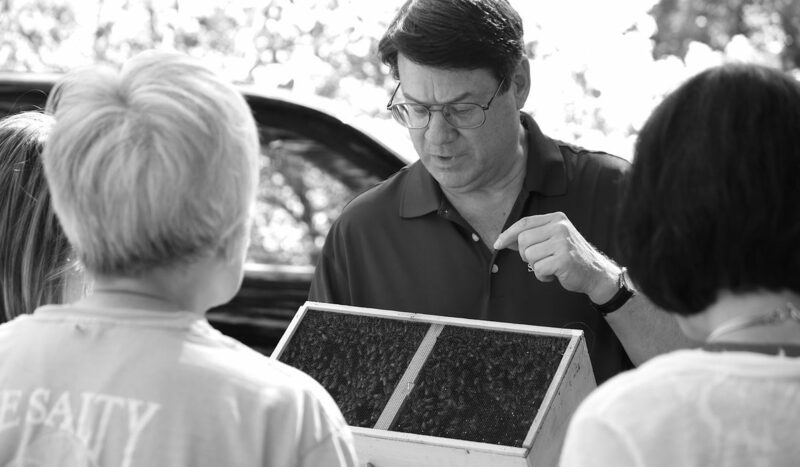 Paul urges readers to help sustain bee populations with careful selection of landscape plants. 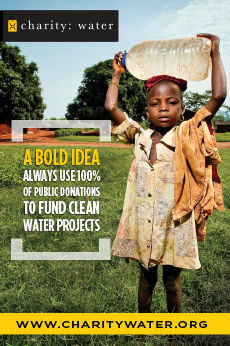 “Plant trees and flowers that bees can use for food. Not every flowering plant provides nectar and pollen usable by honeybees.” For example, azaleas and rhododendrons are beautiful, but they offer no benefit to honeybees. The University of Georgia County Extension program provides extensive information for creating a bee-friendly landscape on their website Extension.UGA.edu. “Do a little research into local native plants that support honeybees and plant as many as you can. 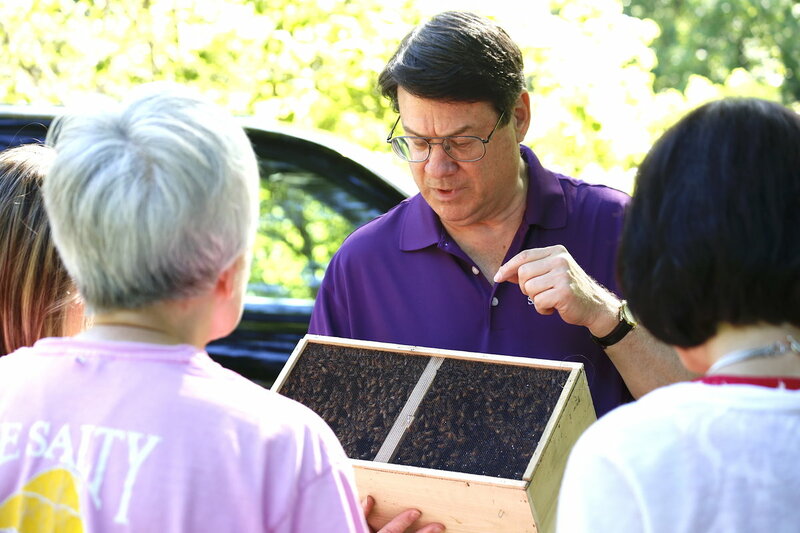 And not just spring bloomers—bees need to gather food from spring until frost so they need a diverse flora in their forage area to prevent starvation,” he explains. 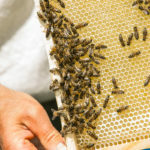 Traditionally beekeepers kept hives to have a ready source of honey. 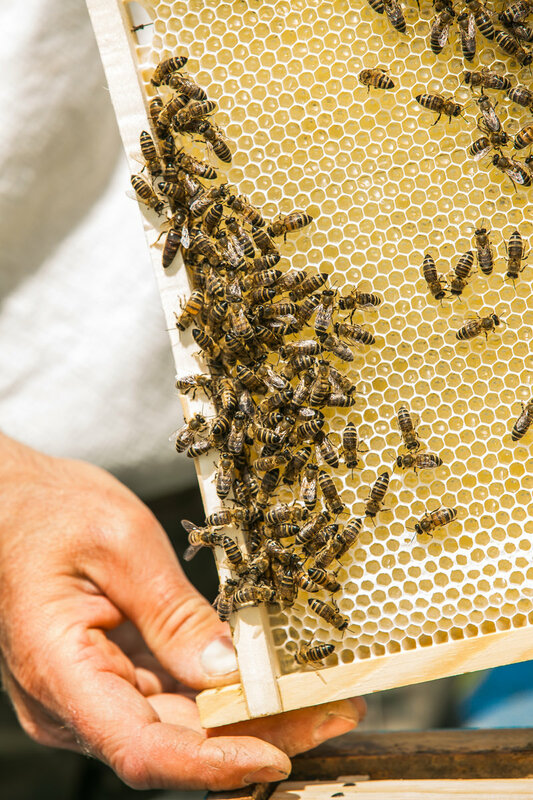 But many hobby beekeepers are forgoing honey collection and tending hives primarily to support the bees and ensure their ongoing survival. 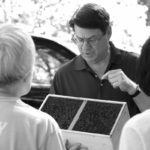 Pollinating insects like honeybees and bumble bees are a critical link in the agriculture chain and an integral part of a healthy ecosystem, and as Paul notes, they are fascinating to observe.